No matter how much we love minis or short dresses but the real elegance and beauty of a girl shines out in Indian desi wear. 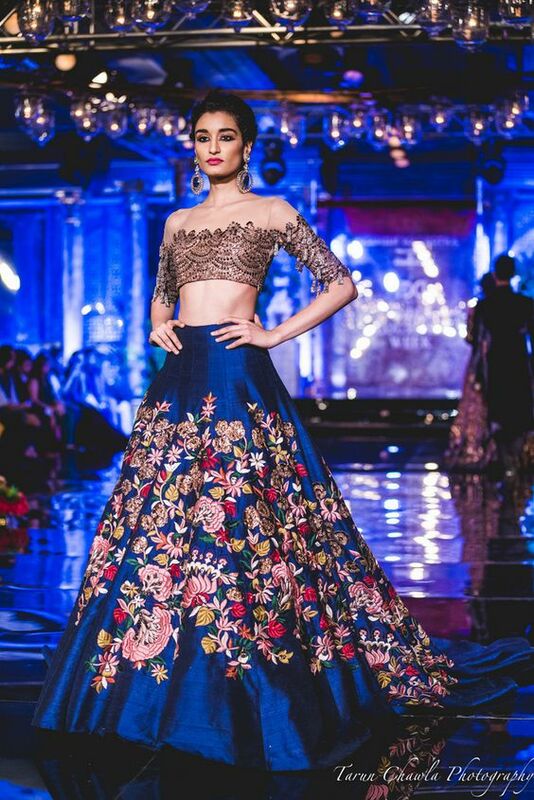 From weddings to festive to traditional gatherings we always look for decking up in Indian wear and enjoy the sublimed attention! 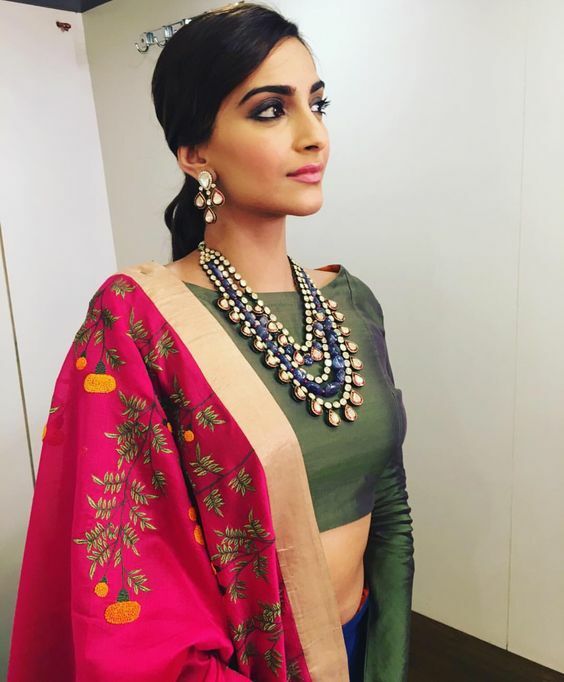 If you are one of those who think Indian ethnic wear is not happening, grow up girl! We bring you stylish and classy must have essentials for ethnic fashion wardrobe that you will be spoilt for choices! If you like to flaunt your stylish side and yet want to stay connected to your roots, long skirts are the right choice for you. Team them up with an off shoulder top and you will bring a delicate feminine touch for that occasion Add a pinch of style with jhumkas, bangles and traditional blingy belt! From parties to traditional ceremonies, and even the office, the seventies-inspired palazzos haute couture is everywhere! Style them with long kurtis, long jackets. For that edgy look, go for ankle length printed palazzos to give a hint of modernity to your ethnic style. 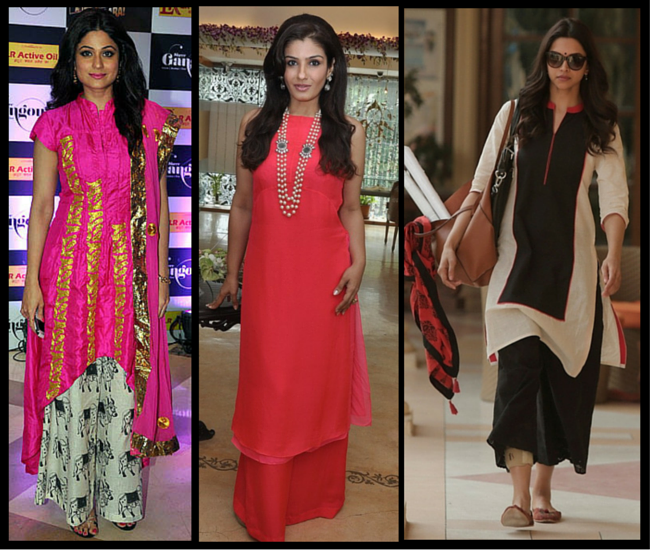 Your ethnic wardrobe is incomplete with comfy and flattering kurtas. You can choose A-line kurtis, long or knee length, kaftan style or irregular cut kurtis. From different fabrics like cotton, georgette, silk you can pair them with leggings, salwar, churidars or palazzos. Need a reason to buy saree? Whether it’s your BFF marriage or traditional gathering go classy yet chic with georgette saree in your favorite colour with cape blouse. 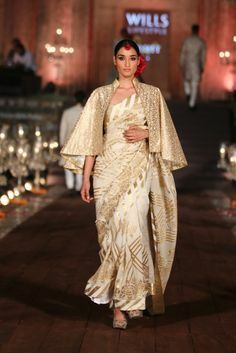 Cape blouse adds a regal touch to your saree and will definitely make you stand tall in the crowd. Whether it’s about adding richness to your plain salwar suit or looking hot in chilly winters; heavy dupatta is just the right thing to play with. Opt for phulkari dupatta (it can act like shawl too) or dupatta with embellishments and mix-match with outfits. Chanderi Silk, Kutch work or Lehriya dupatta in red, silver or black or multicolour can be teamed up with any outfit. Accessories are just like a cherry on a creamy cake or some extra toppings on your dish, that’s quintessential for the ethnic look. 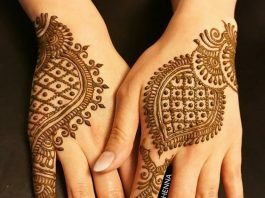 Some must have accessories are colourful jhumkas, silver bangles, twinkling anklet and a thin silver chain with pendant. They are tiny but strong enough to catch attention. A heavy embroidered clutch with an ethnic outfit is the father of all accessories! Must Read – Our guide to buy Gold Chain Online or Offline. So you are dressed from top to bottom are wondering what footwear to choose? No worries girl! 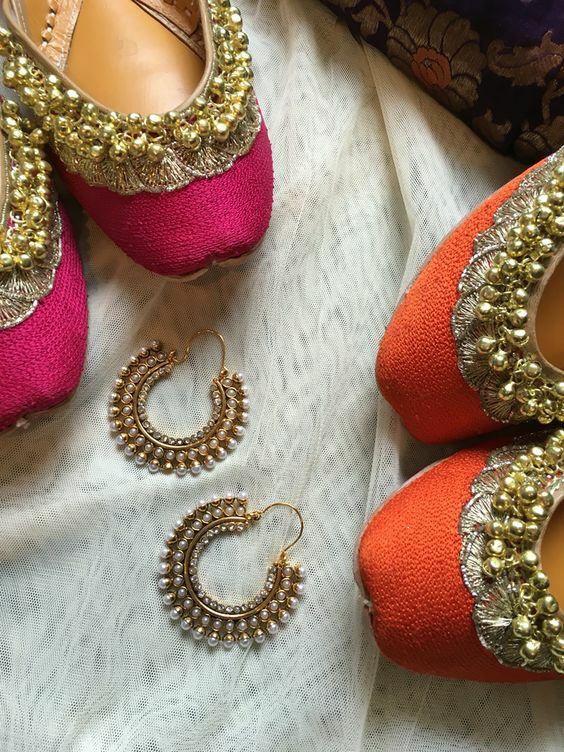 Keep your feet happy and comfy in a pair of Kohlapuri or Punjabi juttis or Mojris when you go traditional. I want multicolour punjabi jutti ….